What sets us apart from others? Shipping on orders placed before 4pm EST, M-F! Customer Service in just a moment's notice, 9am to 5pm EST M-F! 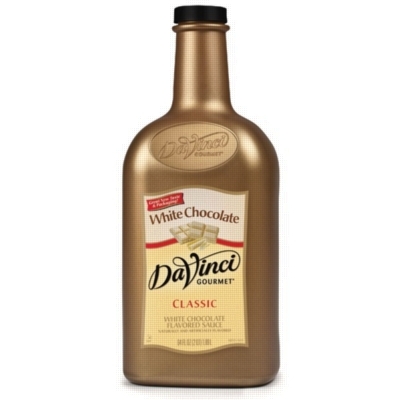 DaVinci Gourmet White Chocolate Sauce is a creamy sweet blend of lightly toasted vanilla beans combined with cream and sugar. Delicious in lattes, mochas, steamers, cocoas, and more! Don't forget the 1oz sauce pump, sold seperately. Nutritional facts, ingredients, & allergen information are provided for convenience only. They may contain inaccuracies or omissions and they may not be up-to-date. For more information, click here.